Put your foot down on the accelerator and increase the speed of your driving lessons with Edwards School of Motoring. Our intensive driving courses in the Dorchester and Weymouth area (also known as crash courses) are blocks of driving lessons designed to provide a top quality teaching experience and get you through your test in as little as 1-2 weeks! Using over 30 years of experience providing intensive driving lessons and courses we have now perfected the ultimate driving experience. How do intensive driving courses in Dorchester and Weymouth work? It doesn’t matter how many driving lessons you have previously had, because the intensive driving courses are built specifically around you. Usually the driving lessons will be in blocks of 3 hours or more at a time. We’ve found that improvements in your driving ability are quicker and do not not deteriorate when learning in this manner, as opposed to hourly lessons. Edwards ONLY do intensive driving courses in Dorchester and Weymouth making us crash course specialists. We base the driving course on 3 stages, each increasing in skill and difficulty. As your driving ability increases you’ll move to the next stage until you are fully competent, confident and ready for your driving test. The intensive driving lessons will focus around local test routes near the Poundbury practical test centre. (If taking the test in Dorchester) The Bournemouth and Yeovil test centres can be used if preferred. For learners with previous driving lessons experience, we offer intensive driving lessons and crash courses to suit your requirements. An initial 3-4 hour block would provide an excellent gauge to what is needed to get you through your driving test. After this we will know how many more hours you will need. Call us for a more detailed chat and we will be able provide an estimation. 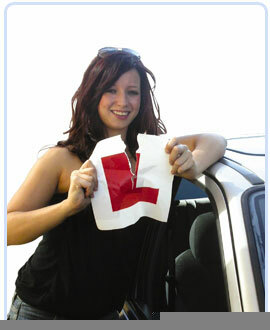 So what is the cost of a complete intensive driving course in the Dorchester and Weymouth area? Although there are several options for the crash courses, we base our beginners course on 25 hours driving. The fee includes both the theory test and the practical test, which we can book for you if you prefer. Our driving instructors pick up and drop off in a location chosen by you, give full 1-2-1 lessons, and provide a free pass plus module and priority test booking, at a cost of only £695.